Registration for our 2018 Retreat is now open! Register below with a payment of $100 to secure your spot. Memories of our 2017 Retreat HERE! Spiritual Care Programme and Quality of Life Care join together to support those who want to serve at the end of life as guides, doulas, coaches, or the go-to person in their circle. Central to the "being" of the end of life practitioner is presence. And what better principles to guide us in this than the ancient wisdom and practices described in the writings of "The Tibetan Book of Living and Dying" by Sogyal Rinpoche. The Spiritual Care program has taken this wisdom and prepared a program that people of all faith traditions can use and incorporate in to their practice. We are thrilled to be having our third annual Residential Immersion in 2018! This event is a beautiful foundation for the support of our work. We must learn ways of nourishing our being and spiritually supporting those we care for in this work. International Trainer Kirsten leads training seminars and retreats for professionals and the public in North America and Europe, and is senior faculty for 'Contemplative End-of-Life Care', a professional certificate program which has been offered through Naropa University in Boulder, Colorado. 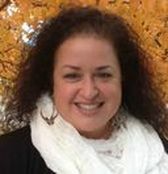 Trained in Hakomi body-centered psychotherapy, Kirsten has worked as a counselor in private practice specializing in supporting people facing major life transitions. Kirsten has developed and taught contemplative-based secular curricula for residents and other healthcare workers at hospitals and other institutions. Kirsten completed a three-year meditation retreat and is a Senior Meditation Instructor in Rigpa, an international network of Buddhist centers under the guidance of the Tibetan Buddhist master Sogyal Rinpoche and His Holiness the Dalai Lama. Dr. Ann Allegre MD, FACP, Director of medical programs, Kansas City Hospice, medical director of palliative care, Providence Health, professor of medicine, University of Kansas School of Medicine and educator for the Spiritual Care Education Program. She was awarded the American Academy of Hospice and Palliative Medicine “Project on Death in America Community Leadership in Palliative Care Award” in 2007, in recognition of her outstanding contributions to the advancement of the field of palliative medicine through the education and training of future leaders. She was named as Fellow of the American Academy of Hospice and Palliative Medicine in 2008 and honored with the Hastings Center Cunniff-Dixon 2011 Award in the senior palliative care physician category. Ann is an educator with the Spiritual Care Program and faculty of Spiritual Care's "Contemplative End-of-Life Care Certificate Program" at Naropa. ​Deanna Cochran, RN, Palliative Advocate and End of Life Guide and Mentor. Founder of Quality of Life Care, LLC. Corporate Consultant. Creator of Accompanying the Dying: A Practical Guide and Awareness Training. She is a highly sought after thought leader in end of life care, featured in the New York Times, Medscape, The Austin American Statesman, among many other publications. She mentors pioneers in communities who are creatively seeking solutions to remedy the gaps in health and death care within the present system. Quality of Life Care addresses non-hospice palliative care and issues affecting people from diagnosis through bereavement to empower them with choice. "If a person is aware of what is available, much needless suffering is avoided," says Deanna. "The problem is people do not know about these options and how to access them." Deposits are fully refundable until July 1st, 2017. After that, you may receive a $50 refund until August 1st, 2017. After 8/1/17 there are no refunds of the deposit.